90 Day Fiance star Kalani Faagata admits she's having a tough time during her second pregnancy with husband Asuelu Pulaa's baby. Kalani took to Instagram on Tuesday and posted two videos of the baby moving around inside of her tummy, and in the caption, the TLC star revealed to fans she's been struggling in more ways than one. "I haven't done many pregnancy updates because I haven't been doing very well both mentally and physically," Kalani confessed. "I'm so thankful that my mom's in town for a while so I can have a break and finally start nesting. I'm fortunate to have such strong women in my life who help me when I'm struggling." Kalani then thanked her mother and sister for their support in her post, to which her mom commented, "I love you my little Lanigirl. I'm so thankful that I'm able to be exactly where I should be. Daddy and I wouldn't have it any other way my love. Kalani and Asuelu, who are already parents to a son named Oliver, announced in January 2019 they're expecting another baby boy. Kalani, a 30-year-old from Orange County, CA, met Asuelu, a 23-year-old from Samoa, when she had traveled to Samoa in July 2016 and Asuelu worked as an activities director of the resort she was staying at. During her second visit, Kalani lost her virginity and ultimately had a surprise pregnancy, which rocked and initially disappointed her entire Mormon family. 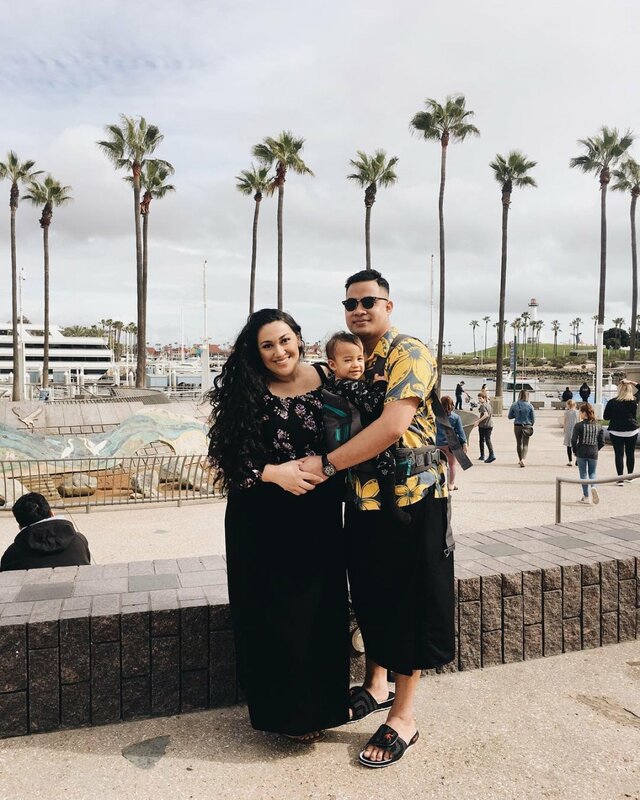 Kalani and Asuelu therefore went ahead with the K-1 visa process so Asuelu could move to the United States and become a hands-on father and eventual husband. Kalani welcomed Oliver into the world in January 2018 and then Asuelu arrived in America that summer. The couple starred on 90 Day Fiance's sixth season, which ended with Kalani learning she's pregnant for the second time and getting married to Asuelu. Kalani initially wasn't happy about getting pregnant again because she wasn't ready for another baby given Oliver was so young and she was still working on relationship issues with Asuelu. In a December 2018 episode of 90 Day Fiance, Kalani actually cried to her mother about the news and feared disappointing her family once again. "I feel like... I should be excited," she said in the episode, according to Life & Style. "But I feel like it's not good timing right now with [Asuelu's] papers and the next round of papers we have to do and planning a wedding and taking care of my son." Kalani also reportedly vented at the time about how another baby would take her time away from Oliver and she was already "spreading [herself] thin." Kalani also previously revealed on Instagram she had battled antenatal depression during her pregnancy with Oliver and feared going through that again. "[It was] to the point that I wanted to kill myself," she confessed, according to the magazine. "That's one of the reasons she was initially unhappy to discover she was expecting again." Asuelu, however, was always thrilled about the pregnancy, and Kalani has slowly come around.